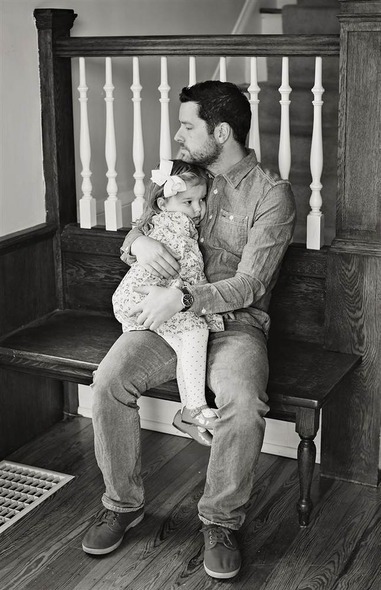 "To pay tribute to his late wife, a father and his young daughter posed for a series of photos that reflect on their lives without her." These were the words that preceded beautiful and moving images that left me thinking of the love and beauty that remains when a loved one is deceased. The images portray a combination of love and suffering; but more importantly, they allow us to remember and understand the importance of being present to each other. This wife and mother's battle with lung cancer did not leave a void. The pictures might not portray her face any longer, but she is nonetheless present through the love and connection that this father and daughter hold so dearly. "We don't own our cars, our homes, our loved ones, our bodies, our words, our beliefs. All of these things were loaned to us for a time and all of these things can be changed, lost, taken away. So what we truly own is our presence. We choose whether or not we are present to ourselves, to each other and to God."